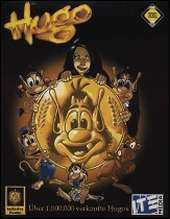 After the worldwide success of the interactive television show "Hugo" between 1996 and 1998 more than two million Hugo PC games were sold. The popularity of the title hero Hugo is still unbroken and his games are for a whole generation of children a guarantee for fun and entertainment. ITE-Media has compiled nine of the best Hugo games from Hugo 1-3 on this CD-ROM, including as a special extra the Labyrinth, the very first ever Hugo game - now for the very first time on CD-ROM. Contents: Mountaineer, Draisine, Ice Cave, Aviator, Raft Ride, Labyrinth, Skateboard, Diver, Forest / Rope, Key & Lightning Game.